Your desktop looks like a confetti party? This tool is your vacuum cleaner! Your desktop looks like a confetti party because of the many files and you can't find anything again? This tool sorts all files into the right folders with one click. Your desktop looks like a confetti party because of the many files and you can't find anything again? This tool sorts all files into the right folders with one click. Next to the desktop, you determine which folders the File Organizer should monitor. From then on, it will automatically move all the files in it to their intended location. You decide according to which scheme your data will be sorted away. Choose between file formats or file naming or a combination. Your PC — Your rules. File Organizer was developed by Germans. And we Germans have seven rules! 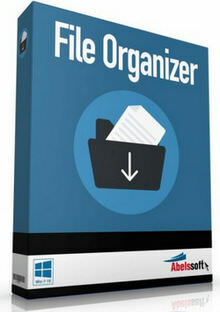 Therefore the File Organizer offers you an unlimited number of them! Organize your order according to your taste! 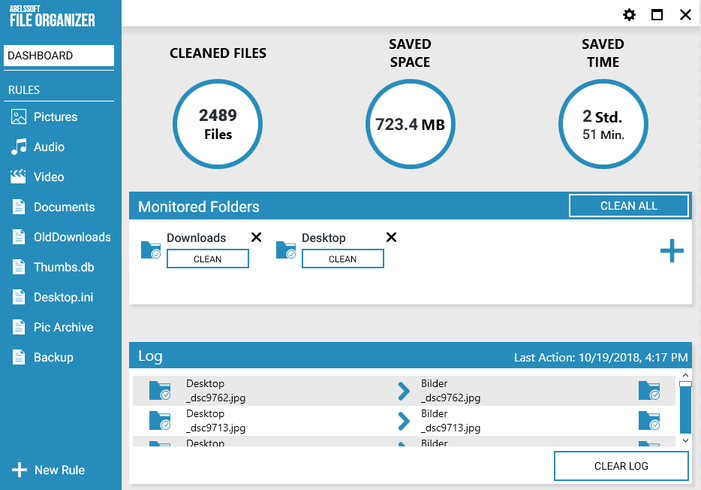 With this smart tool you can not only clean up files but also perform actions. 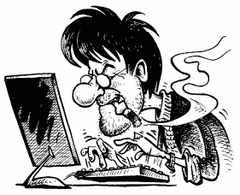 Choose between moving, copying, deleting or compressing data (zip). After the installation you will find an icon on your desktop that knows your rules. Simply drag a file onto the icon and it will be moved to the right place by a wondrous hand. With the File Organizer you can also tidy up and sort away external drives such as USB hard drives. Just plug it in, set a rule, and the digital vacuum cleaner's ready to go!